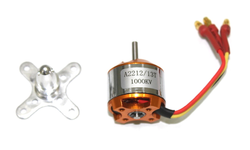 Offering you a complete choice of products which include tb6560 stepper motor driver board 3a, a2212 1000kv motor, a2212 1400kv brushless motors, brushless motor d2826-1100kv, brushless motor d2826-1400kv and brushless motor d2826-1800kv. 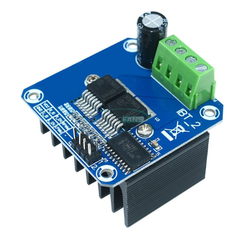 Description: This is a Multi-copter Brushless Motor Speed Controller with a running current of 30A. The power input uses extreme low output resistance greatly enhance the power stability, and has the protective effect on the battery.Separately voltage regulator IC for microprocessor. providing good anti-jamming capability. Using Simon K’s a dedicated multi-copter program tgy_debug, and the master chip with high stability crystal oscillator, making the motor control to more precise. Subdivision Full Step, Half Step, 1/4-step, Step 1/8, 1/16-step, Up To 16 Segments. Application For 4.2A 42,57,86 within the two-phase / four-phase / four-wire / six-wire stepper motor. 1. 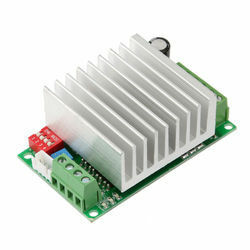 ESP12E Motor Shield is a high-current motor drive module compatible with ESP12E Dev Kit and . 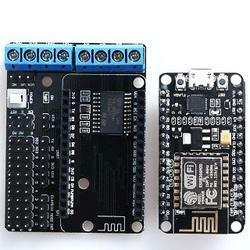 The module is designed with a plug-in board and can be directly connected to the ESP12E Dev Kit or NodeMCU Lua module. 2. The module adopts the excellent high-power motor dedicated full-bridge chip L293DD produced by STMicroelectronics. 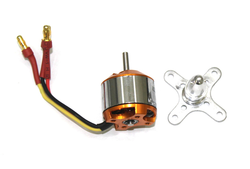 It can directly drive 2 DC motors or 1 stepping motor, and the driving current can reach 1.2A. The layout of the circuit diagram is reasonable, the package is packaged and the installation is very convenient. 3. The module uses the IO port of the ESP12E Dev Kit as the control port, and the internal logic chip completes the motor IC drive. Therefore, it only occupies four ports of the control boards D1, D2, D3, and D4, which are respectively used as PWMA (motor A speed) and PWMB (motor B). Speed), DA (Motor A direction), DB (Motor B direction) function. 4. The module also draws multiple pins such as VIN, 3.3V, DIO, AIO, SDIO, UART, SPI, RST, EN, etc., which can be easily connected to various sensors (temperature and humidity, buzzer, illumination, relay, etc.). 5. The module adopts a user-friendly design scheme, and the power button switch allows the user to conveniently switch the power. 6. 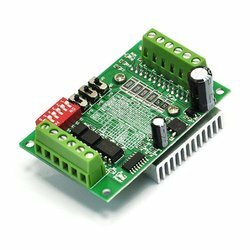 This module can be used directly to control smart cars. 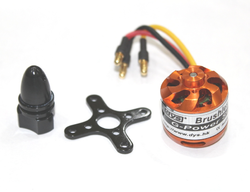 Looking for Motor & ESC ?